55044-SS-PK is rated 1.0 out of 5 by 1. This 24" standalone slide bar features a pivot slide mechanism for easy operation. The hand shower mount can be rotated forward for improved control over the direction of the water coming from your hand shower for an enhanced showering experience. 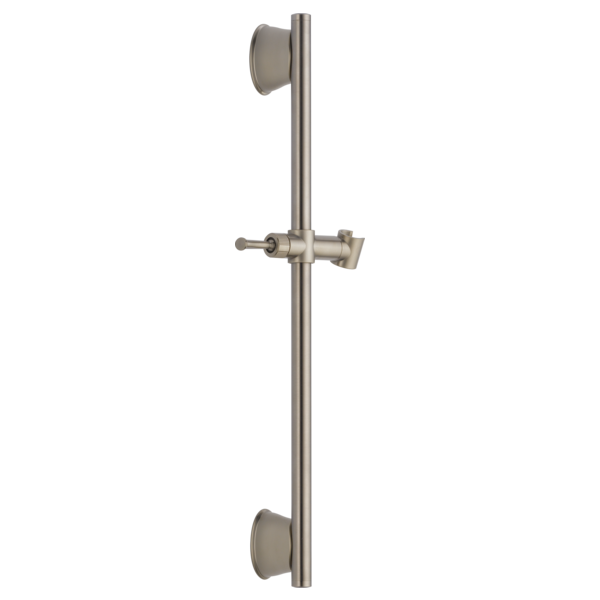 The standalone design allows you to match style and functionality with any Delta hand shower. The Brilliance® Stainless finish is durable, long-lasting and guaranteed not to corrode, tarnish or discolor.